Looking for unique, short-term waterfront accommodation? 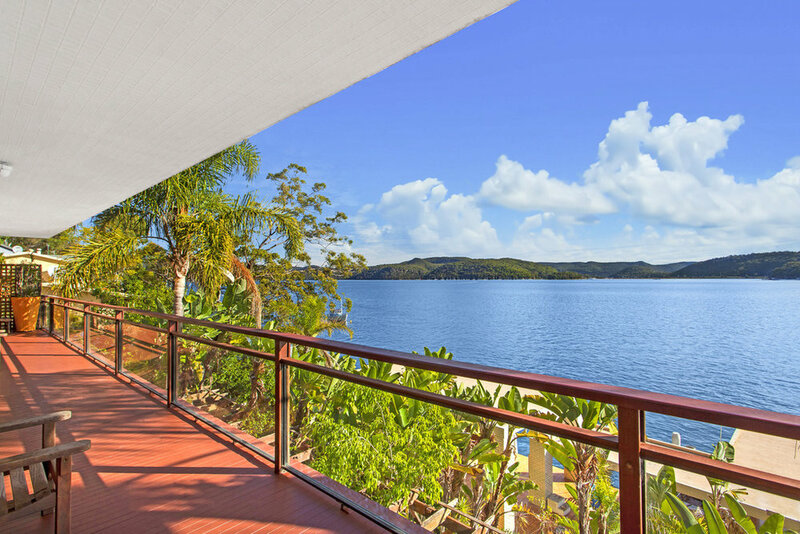 Welcome to your next luxurious getaway… Boat House On Hawkesbury. With 6 queen bedrooms all with ensuite and spa, the Boat House is a delightful destination to bring your family and friends for a special get together to create treasured memories. Set over four levels, the spacious layout of the Boat House combines old world charm with modern facilities to ensure a high degree of privacy, while providing many different areas to enjoy each others company. For your corporate stay, team building venue or retreat, Boat House On Hawkesbury is the ideal venue for your group. The situation and outlook will ensure your group stays positively motivated. The large open plan living area is perfect for meetings with plenty of relaxing bonding activities available. The expansive house design ensures privacy even with larger groups. Various catering options are also available on enquiry. Bring your boat, we have a mooring for up to 60ft cruisers. Smaller boats can be moored on the wharf using our mooring whips. Hawkesbury Water Taxis hire small tinnies if you don’t have your own boat and would like to enjoy the river. Flathead, Jewfish and Bream are just a few of the fish that can be caught in the Hawkesbury. Nothing compares in size, style & location so close to Sydney. Constructed over 3 levels, this is the ultimate destination for that special occasion, milestone birthday, weekend with the extended family or those very special friends. Located on Little Wobby, The Boat House is a relaxed two minute water taxi trip from Brooklyn or you can bring your own boat for the ultimate boating holiday. Relax by the indoor pool, sip champagne on the rooftop while taking in the stunning views, or while away the hours fishing from the large covered wharf. Whatever the reason, a stay at the Boat House on Hawkesbury has something for everyone. I can’t wait until next summer! All 11 off us aged from 18 to 40 had a great time. We will definitely be coming back as it’s a fabulous place to stay.